The Paramore ‘RIOT! 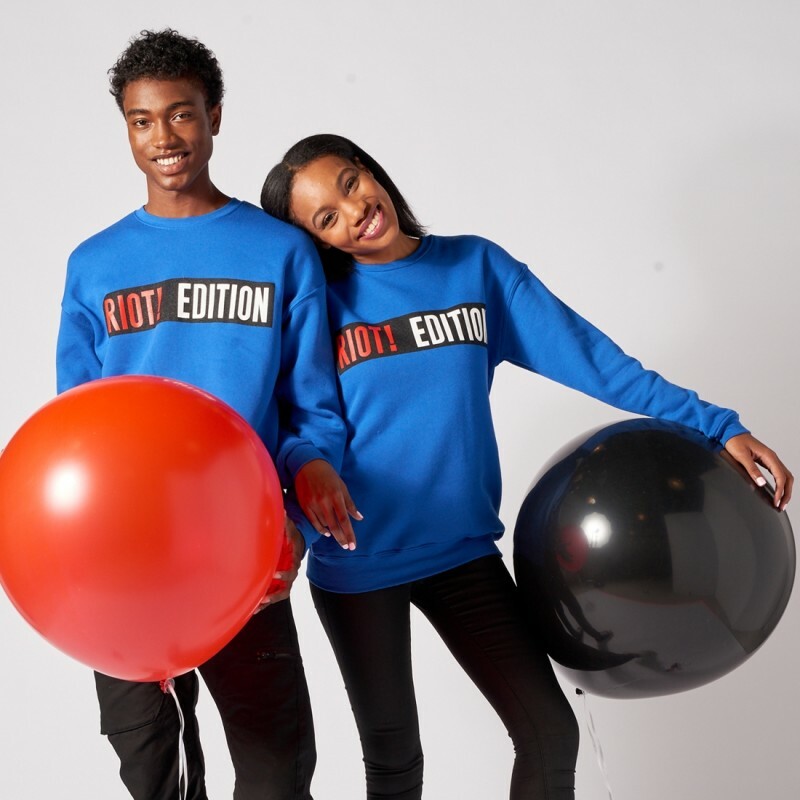 Edition’ Crewneck here features “RIOT! 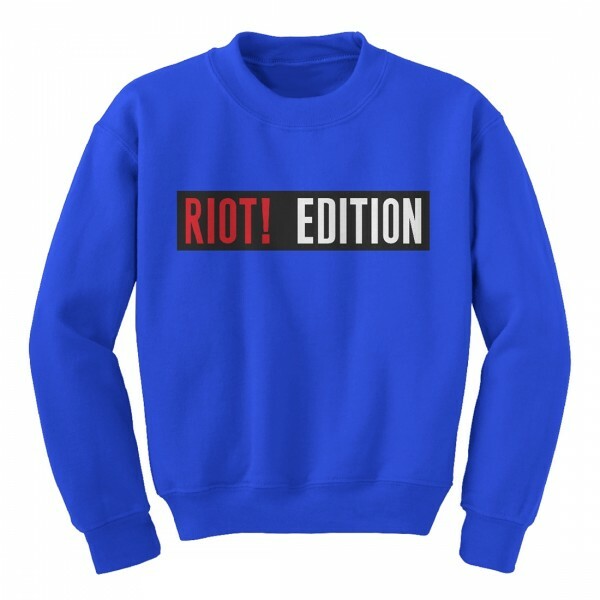 Edition” on the front of this blue crewneck. The design is printed on a Bella Canvas crewneck.